* Me, modeling my classic Johanna Parker Design jack-o'-lantern logo! 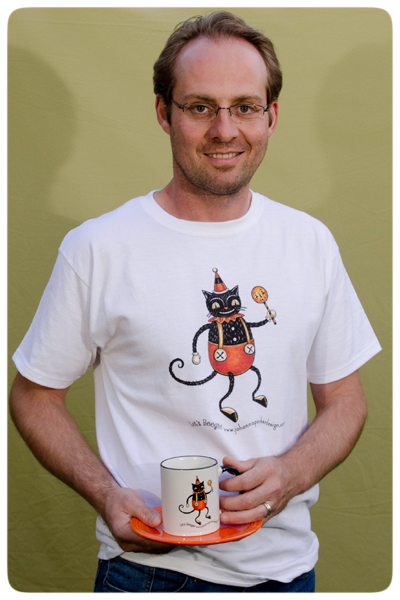 * Pure silliness here as JP passes me my dancing black cat coffee mug! 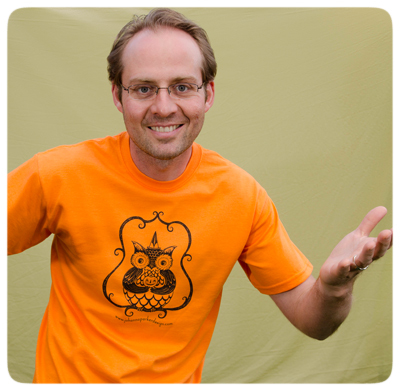 * My chandelier owl image in black, boldly marks the front of JP's Halloween orange tee! * OH, is that an owl on my chest?! Hehe!... Again, the same owl image as above, but this time filled in with Halloween hues atop a field of white ~ very striking! 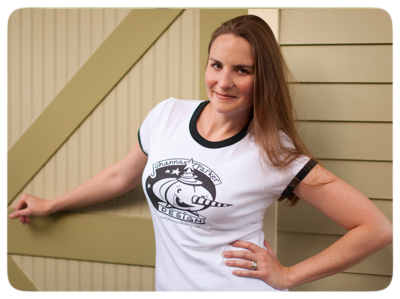 Thanks for peeking, and I promise to open the doors soon to my Zazzle Shop. You can certainly save the LINK to my shop for now and become a FAN for Zazzle updates. If you'd like to see a few more images from our silly photo shoot, please visit my Johanna Parker Design Facebook Fan Page. Hit the "LIKE" button once there to stay in the loop about my Grand Opening, door prizes and more!